This is the second blog post based on this journey. It has been 2 weeks since I last met and observed this class of year 13’s. They have had several lessons since the first blog post, the students have all taken part in a mock paper and those papers have been marked. The teacher has explained to the class what the process of marking an exam paper is and how they felt that some of them have some gaps in their knowledge. This was done in a friendly constructive manner that was supported by reassuring the students that they are capable of achieving in the exam. The students responded positively to this and went about research what they felt where the gaps in their knowledge. The teacher told the students if they had any questions they would be happy to talk to the students individually. Some of the students took advantage of this and the teacher explained about the time frames of the exams and how many weeks the students have before their exam. Some students were not sure at what they should be revising. So the teacher who knows the students well and probably could have just listed off what they need to cover took a different approach. They sat down with the students and went through the notes and book with the students, getting them to explain certain sections and got the student to discover what they did not know, thus them taking ownership of their learning and education. This seems to be very effective and I will almost certainly use this in my own practice. All the students are happy discussing what they are doing in their groups and the teacher is moving from group to group to inquire what the students need help with. The next blog post in this series will be after Christmas, just after their exam. This is a very special blog post as it is the first time I have had a guest blog post before. This post is written by Rachael Millar who is an English teacher at saltash.net. 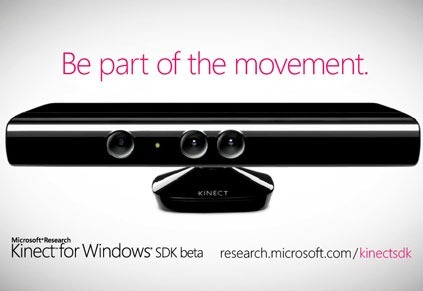 This was the first time Rachael had used the KINECT in her classroom and this is what happened. My Year 8 English class are working on a unit called News in the 20th and 21st Century, so I thought an excellent way to make it 21st Century would be to use the KINECT Green Screen to let the pupils be ‘real’ news reporters. Pupils prepared news reports in groups of 4, including anchors and weather people. I uploaded two images: one of a newsroom, and the other of a generic weather map of the UK. The groups then used these backdrops to perform their reports. The buzz that the group received from the satisfaction of performing their reports in front of the Green Screen was palpable, and certainly ignited their interest in the subject and gave them the added incentive to really put on a polished performance. With a smaller group you could also use the full 5 image slots to create a backdrop for an ‘on location’ reporter which would add to the professionalism of the whole project. We are hoping to develop this idea and use the KINECT Green Screen to broadcast news reports around the school. So watch this space for updates. Many thanks to Rachael for taking the time to share her experiences with the KINECT and thank you for taking the time to read this.